Gas prices in South Central Ohio are a penny more expensive this week at $2.151 per gallon, according to AAA East Central’s Gas Price Report. Five of the eight states in the country to see gas prices increase on the week were in the Great Lakes and Central states (areas hard hit by last week’s Polar Vortex). One of those states is Ohio, which saw a six-cent increase over the week to $2.12. States throughout the rest of the region have averages that are as much as a three-cents cheaper than last week. Energy Information Administration (EIA) data for the week ending Jan. 25 show gasoline stocks had a marginal increase of nearly 300,000 barrels. Total stocks register at 61.5 million barrels. This past weekend, a fire was reported at PBF Energy’s Toledo 188,000 b/d refinery in Ohio. Local media reported that the fire started at the plant when a railroad tanker car containing gasoline exploded. No further information was available, and it’s unclear the impact to refinery operations at this time. For most states, gas prices are starting off the first week in February cheaper than the last week in January. On the week, only eight states saw gas prices increase which is a big shift from the week prior, which saw increases for 25 states. 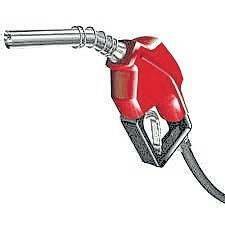 With most state gas price averages decreasing, the national gas price average held flat at $2.26. For the week ending Jan. 25, the EIA reported U.S. gasoline demand at 9.6 million b/d. The last time the rate was this high was during the 2018 Labor Day weekend. As the EIA rate is an estimate, it’s considered preliminary and the agency may revise it later this year when it releases final figures for the month. If the estimate is not revised, one reason for the jump could be the extreme cold weather seen last week. The weather may have prompted many motorists, especially in the mid-west, to fill-up ahead of the storm. At the close of Friday’s formal trading session on the NYMEX, West Texas Intermediate increased $1.47 to settle at $55.26. Oil prices mostly increased last week, following indications of tightened global supply this year. Alongside OPEC’s production reduction agreement of 1.2 million b/d for the first six months of 2019, the recently announced U.S.-imposed crude export ban on Venezuela has made market observers worry that global crude supplies will shrink and rebalance prices.